Kiddie Academy of Bothell, just outside of Seattle. Joubert syndrome is a rare genetic disorder characterized by decreased muscle tone, difficulties with coordination, irregular eye movements and atypical breathing patterns. These symptoms are a direct result of abnormal brain development and the absence or underdevelopment of the cerebellum, which is the part of the brain that controls balance and coordination. Dexter has experienced major developmental delays all his life – at two, Dexter was only able to crawl; he couldn’t form words and communicated only through his AAC (Augmentative & Alternative Communication) device. His parents sought out opinions on his condition from therapists and specialists but were told not to get their hopes up, as others with Joubert syndrome never learn to walk or talk. In time, the Simmons family learned that Joubert syndrome has a wide spectrum, meaning that development delays can range from severe to mild, which filled them with hope and optimism that Dexter could get help and make progress in his growth. They began to seek out full-time child care so that Dexter could begin interacting with his peers and eventually have a normal childhood. 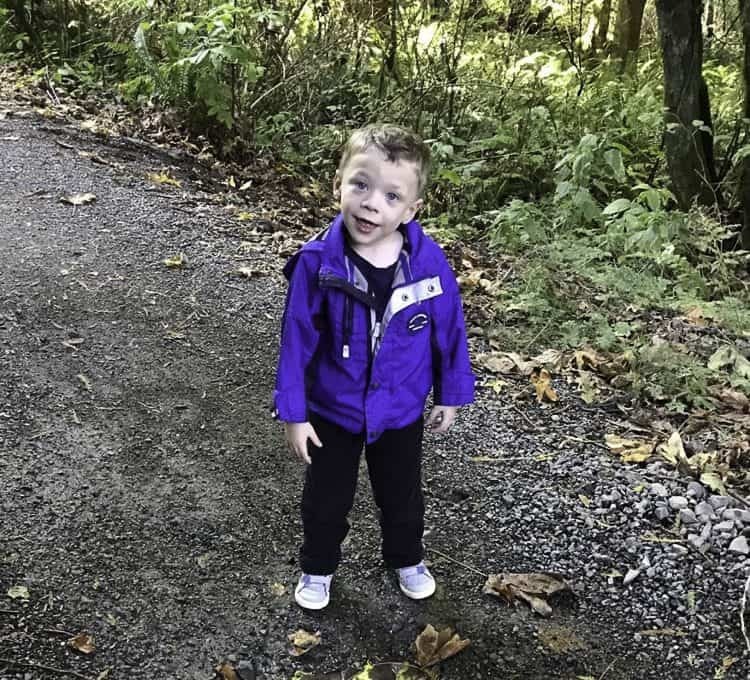 While most national child care companies shy away from admitting children with disabilities because of the added stress on both the staff and the students, Dexter was accepted with open arms to Kiddie Academy of Bothell. The Simmons family credits their son’s astounding advancements to two things: Dexter’s personal determination as well as his interactions with teachers and students at Kiddie Academy. His teachers give Dexter the extra “TLC” that he needs and always make sure that he’s comfortable in the classroom. His peers have not only accepted him but also go out of their way to make sure that he is included, and many have become his best friends. Robinson noted that students have even started to learn how to use his AAC device and help him communicate with the teachers when he’s having difficulty. In return, Dexter has helped teach other children the importance of tolerance and acceptance. We would like to recognize the Simmons family for having confidence in our Kiddie Academy family and Dexter for showing us what we can accomplish with determination and a belief in our own abilities to succeed. To learn more about Joubert syndrome please visit jsrdf.org.